The four-member Supervisory Committee plays an important role in TruWest Credit Union’s governance. They ensure we operate in accordance with the rules and regulations set forth by the National Credit Union Administration (NCUA) and Department of Financial Institutions (DFI). They also make sure that the plans, policies and procedures set forth by the Board of Directors are properly administered. Susanna DeFranco graduated from Northern Arizona University with a B.S. in Accountancy in 2008. She began her accounting career in Phoenix as an external auditor for a national public accounting firm, where she gained experience across a number of industries: publicly traded companies, not-for-profits, construction companies, benefit plans, government agencies and small locally owned companies. Susanna was also part of a team contracted by the Office of the Comptroller of Currency to perform a Material Loss Review of a local bank that failed and had its assets seized by the FDIC. In 2011, Susanna left public accounting to work in the Finance Department at General Dynamics C4 Systems. She spent her first two years in the Internal Audit Department performing everything from internal controls reviews to complex accounting reviews of a subsidiary. Recently, she hung up her auditing hat and took a position as a Financial Planning Analyst. Susanna joined the TruWest Credit Union Advisory Committee in April 2012 and became part of the Supervisory Committee in 2015. Susanna has found it incredibly satisfying to be a part of an organization that gives so much back to its members. “I hope that I am equally helping to add to the TruDifference,” she says. When she is not busy helping add to the TruDifference or working as a Finance Analyst at General Dynamics, Susanna spends her free time with her husband chasing their toddler son around, trying out new recipes (she loves cooking), and hanging with friends and family. Steve Benton is an Arizona native, originally raised in Tucson and residing in the Phoenix metro area since 1993. He graduated from the University of Arizona with a B.S. in Accounting & Finance and has over 20 years of experience in various corporate Finance & Accounting roles. Most recently, Steve has served as the VP of Finance for Record to Report Operations for Xerox Services, where he started in 2005. Prior to Xerox, Steve worked for Freescale Semiconductor in operational finance roles in manufacturing and various business units. He began his career with General Dynamics (formerly Motorola), where he spent four years in Finance. Steve joined the TruWest Supervisory Committee in October 2016 and has been a Credit Union member since 1993. Steve is happy to be serving TruWest in a capacity where can now give back to an organization that highly values its members. Steve enjoys various activities during his free time, including being an avid trail runner, spending time on the numerous trails around town. He also enjoys outdoor cooking, yoga, mountain biking and traveling. Dean Dresser is serving his first term on the TruWest Supervisory Committee. He is a senior finance executive with experience in leading financial operations and change initiatives for multi-national corporations, fast growth start-ups and turnaround situations. He has held management and executive roles in the technology, media, construction, manufacturing, logistics and communication industries. He is currently serving as CFO and Senior Vice President of Advantis Certified Staffing Solutions, Inc., a staffing and payroll services company with offices in Austin and Houston, Texas and Detroit, Michigan. From 2010 to 2015 as the SVP/Corporate Controller of a division of First Service Corporation (FSRV-NASDAQ). Dean transformed its financial operations, internal controls, working capital management and was responsible for managing the successful integration of his finance and I/T organization after its acquisition by Assurant Specialty Services in 2014. From 2007 to 2010, as Chief Accounting Officer of Argyle Security, Inc., a physical security construction company. He was responsible for SEC reporting, financial due diligence, implementation of 6 acquisitions, and established and chaired a Corporate Compliance Committee. Dean has an MBA in Corporate Finance and International Business from Purdue University and Budapest University of Economic Sciences. He also holds a BBA from The University of Texas at Austin. He is the President of Finance Executives International (Austin Chapter) and Finance Committee member on the Board of Trustees for the Austin Opera. He lives with his wife Debra and their two Shetland Sheepdogs in Austin, Texas, where they enjoy ballet, opera and the arts. As a former chef during his college days, he and Debra enjoy cooking and collecting wines. Stephanie Sanchez graduated from Arizona State University with a B.S. in Accountancy in 2011. She began her accounting career in Scottsdale, AZ as an accountant at a non-profit, where she handled a wide range of responsibilities. In 2014, Stephanie joined General Dynamics as a finance analyst and has since worked in central finance, financial planning and internal controls. Stephanie took on the role of program finance analyst at the end of 2016, and the following year, she completed her M.S. in Accountancy. 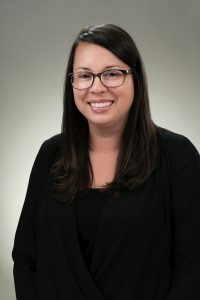 Stephanie joined the TruWest Supervisory Committee in January 2018 and has been a Credit Union member since 2015. Stephanie is excited and honored to be a part of an organization that values their members and stands by their TruDifference. In her free time, Stephanie likes to stay active, hang out with friends and family and travel every chance she gets.